3. Crush grapes, add water, cover, bring to boil on high heat. Reduce heat and simmer for 10 minutes.Do not overcook; excess boiling will destroy the pectin, flavor and color. Pour everything into a damp jelly bag and suspend the bag to drain the juice. 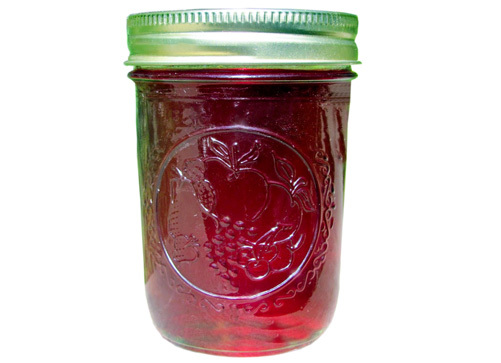 The clearest jelly comes from juice that has dripped through a jelly bag without pressing or squeezing. 11. Process in a boiling water/pressure canner according to the recommendations. Let cool, undisturbed, 12-24 hours and check for seals.